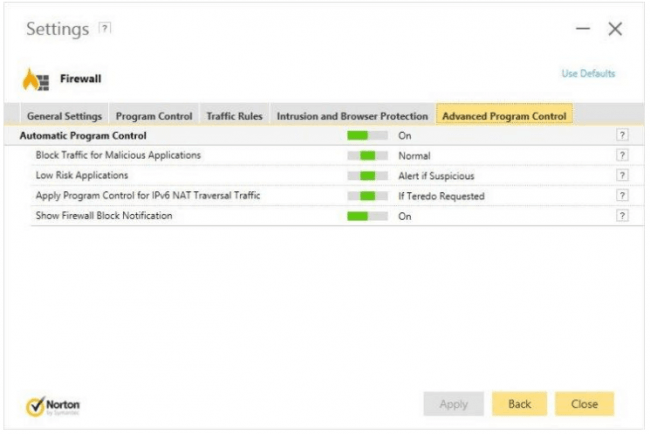 Symantec Norton Security Deluxe antivirus program is a well-reputed antivirus program in the industry but does it hold up to its name? Symantec Norton Security Deluxe 2017 Edition provides users with an award-winning antivirus program along with a robust firewall system. The whole security suite does not drag down your computer performance and has the capability to protect up to five devices including Windows, iOS, macOS, and Android. There is little doubt about the fact that Symantec Norton Security Deluxe 2017 Edition is only one of a handful of brands that can lay claim to the antivirus business’ throne. Moreover, the 2017 edition of the package offers top of the line security. Many independent labs have confirmed this evaluation that Symantec Norton Security Deluxe 2017 Edition is indeed one of the best antivirus programs out there in the market. Needless to say, if you run this program on a Windows platform then it can easily be considered one of the best security suites in the market. Most of all, Symantec Norton Security Deluxe 2017 Edition is available for multiple platforms including other desktop operating systems such as macOS. The Symantec Norton Security Deluxe 2017 Edition is not only a great antivirus program but is a full fledged security suite. As indicated earlier in the summary section of this article, the iOS version of Symantec Norton Security Deluxe 2017 Edition is pretty limited but overall this security suite is an excellent choice for anyone looking to protect his/her desktop computer or mobile device. You’re going to have to cough up $79.99 per year in order to subscribe to Symantec Norton Security Deluxe 2017 Edition services. You’ll be given the option to install Norton security products on up to five different operating systems such as Windows, macOS, Android, and iOS. If you don’t have five different devices or simply don’t want to protect all of your devices then you can have the same Symantec Norton Security Deluxe 2017 Edition at $59.99 per year for just one device, a single PC or Mac. If you’re lucky enough, you might be able to catch a discount offer from Norton for its Symantec Norton Security Deluxe 2017 Edition, otherwise, you’ll have to pay the full price. 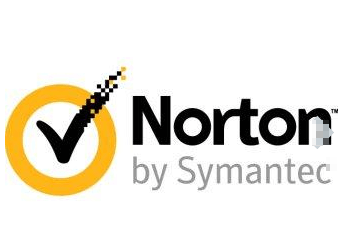 There is also an option to buy Symantec Norton AntiVirus Basic version which you can get for $19.99. If we’re strictly talking about features than the basic version of Symantec Norton AntiVirus offers a similar antivirus protection to the full suite. With that said, the downside is that users who subscribe to the basic package will not get custom support and hence will have to rely on FAQs along with forums for support. The full suite, on the other hand, has the facility of a full-fledged tech support and a Virus Protection Promise. 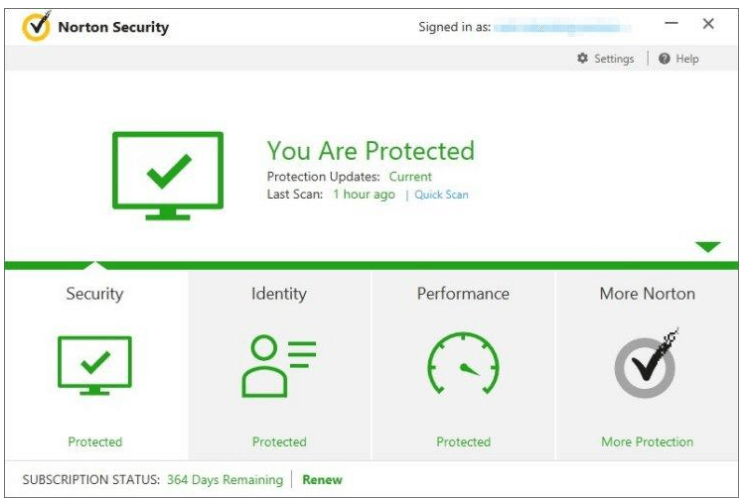 The Virus Protection Promise is a program from Symantec in which the company refunds all your money if the tech support agents can’t get rid of viruses or malware on your system. We’re glad to inform you that the security suite from Norton offers the very latest malware protection that is available in the market. Norton has been able to achieve such success in the security software industry for a lot of reason but the primary three are most definitely the company’s ability to put resources into hiring an expert of the field, deep study of contemporary problems and rigorous analysis of its product’s performance. Symantec, in order to save time on research studies, launched a machine learning program to help the company come up with better analytical reports. A Symantec representative told PCMAG that the company had hired 10 PhDs along with two research engineers from top schools and then combined those with over 100+ years of experience in applied machine learning. In other words, Symantec has gone to great lengths in order to ensure that their antivirus program is top notch. For those of you who have been following the company’s products for quite some time, it may not come as a surprise that Symantec has made a name for itself in the industry by offering layered system protection. To put it another way, Norton offers network level security which helps it to ward off cyber attacks and block any interaction with malicious websites and online services. And even if you manage to get a malicious file on your computer machine the antivirus scan, on most occasions, has the capability to remove it from your computer for good. There are also other features such as fuel prevalence and behavior-based blocking which further enhance protection against viruses, malware, and spyware. But most of all of, the latest Symantec Norton Security Deluxe 2017 Edition adds several new security layers over the traditional ones to form one hell of a protection blend. There is the new Proactive Exploit Protection which actively guards against various exploit methods including heap spraying and Return Oriented Programming commonly known as ROP. Then there are the Threat Emulation security layers which manage encrypted malware that may be inserted into your system either packed or through some other concealing techniques. The new security suite does that by first running malware infected files through a controlled environment and then evaluates it after the malware has been decrypted. In addition to that, there is the new predictive machine learning algorithm that allows the security suite to catch and remove even the most recent and innovative malware infections. Of course, all of these layers work independently and don’t require the end user to do anything. So you won’t have to waste time in configuration all these additional security layers. Norton will automatically keep malware along with other viruses out of your desktop or mobile device. 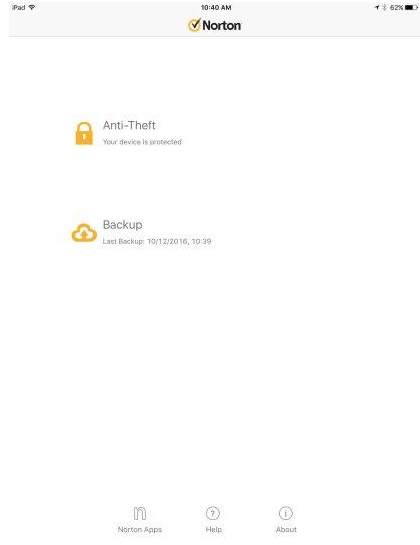 If we move towards the basic version of Symantec Norton AntiVIrus, the first thing you should know is that, the basic version is basic only in its name. It does not offer a full firewall capability but its new intrusion feature called Prevention was able to block most exploit attacks. It also stopped these attacks at the network level and actually identified most of them with the correct label. There is also a comprehensive antispam feature in the basic version that manages to filter POP3 email accounts and supports Microsoft Outlook integration. The Norton Insight scan can list all the files on a user’s computer and can indicate the trust level for each file. Symantec Norton Antivirus Basic has an effective antivirus scanner that makes use of Norton Insight results to prevent scanning trustable and known files again and hence is light on computer resources. Symantec also offers a Symantec Norton Identity Safe, which is essentially a free password manager for anyone to sign up for. Having a password manager integrated into the full Norton protection program is pretty useful too. The password manager has all the basic function and is able to sync information across various devices but is devoid of some advanced features such as two-factor authentication and a secure method to share passwords with other people. Using your operating system’s default startup manager, you can easily disable programs from launching when you reboot your machine. There is also the utility of a disk defragger if you don’t like the one that came with your copy of Microsoft Windows. As mentioned earlier, the Symantec Norton Security Deluxe 2017 Edition includes a very sturdy Intrusion Prevention tool which gives users enhanced firewall protection. The difference between the basic version and the full suite is that the full suite comes with two-way firewall protection. You may choose to use Symantec Norton Security Deluxe 2017 Edition firewall over your default Windows one for many reasons. Some of which might include less intrusion, less confusing queries and automatic assignment of network permissions to unknown and trusted programs. Symantec Norton AntiVirus program which is the standalone antivirus software is only compatible with Windows operating system. The full suite, on the other hand, is able to cover your Windows operating system along with your Mac, iOS devices, and Android smartphones. If you want to manage settings of the program then just go to the program’s main window and then hit Show Me How option in order to get started on your journey. 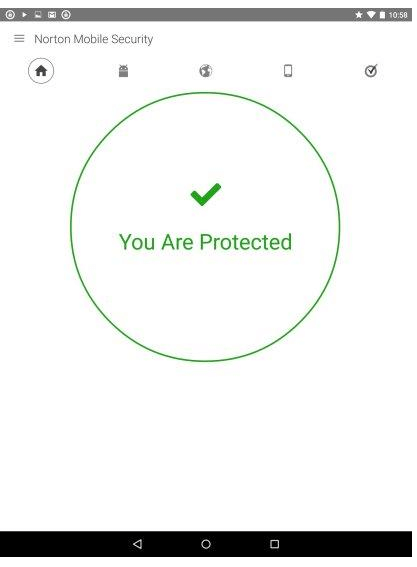 Then sign in to your designated Norton account and then enter the email address that you used on the device you want to secure. In the case of macOS, the process is pretty similar and simple. The most positive thing about the macOS suite is that unlike many other security products the Symantec Norton Security Deluxe 2017 Edition does a solid job of offering a complete security suite for the macOS. In fact, some have even experienced fast scan speeds as well as lower memory usage when running Symantec Norton Security Deluxe 2017 Edition on mac OS. Apart from all the standard features, the macOS version comes with a Norton Safe Web website reputation monitor and a File Guard feature which help protect your browsers and most important files from being modified by cybercriminals respectively. Moreover, if you put a specific file under File Guard then that file can’t be opened, copied, moved or deleted without required authorization from the owner of the software i.e you. In a multi-part test performed by AV-Test Institute, the Symantec Norton Security Deluxe 2017 Edition scored top marks for protection against malware and a low number of false positives. The security suite was able to score 5 out of 6 in performance points. The only other security suites that scored higher than Symantec Norton Security Deluxe 2017 Edition were Trend Micro Maximum Security, Kaspersky, and Bitdefender. Symantec Norton Security Deluxe 2017 Edition scored a total of 17 points while the other three aforementioned security suites scored 18 out of 18 points. Simon Edwards Labs gave Symantec Norton Security Deluxe 2017 Edition an AAA rating which is as close to a perfect rating as one can get. In MRG-Effitas tests, Symantec Norton Security Deluxe 2017 Edition scored an aggregate total of 9.7 out of 10 and hence beat all its rivals except for Kaspersky Total Security suite. In general malware protection tests along with web-based protection tests, Symantec Norton Security Deluxe 2017 Edition was able to block these infections a whopping 98 percent of the time and hence, again, beat the rest of the competition except for Avira Antivirus Pro 2016. Should You Buy Symantec Norton Security Deluxe 2017 Edition? If you asked that question about ten years ago then we would have simply listed down a number of pros and cons about the full security suite. Back then Norton had made a name for itself by developing resource hogging products that offered deep security but at the price of performance. Since then the company has hired many professional developers that have improved the security suite to the extent that now the security suite offers the same old water-tight security but with less impact on performance. In short, the Antivirus protection in Norton Internet Security Deluxe is pretty outstanding. The security suite has managed to score top marks in most independent lab tests and has received a lot of praise for its phishing protection tool. The security suite comes with a complete and strong firewall protection along with an anti-spam tool. Apart from the iOS version, the security suite offers great protection on all other platforms including Windows, macOS, and Android. The only problem is that you can get Norton Internet Security Premier version for just $10 more. The Premium version allows users to have twice as many licenses along with some really cool added features. But apart from that, assuming you can’t spend the extra ten bucks, then Symantec Norton Security Deluxe 2017 Edition is an excellent choice for anyone looking for near-to-perfect security suite. How do I know I am getting Norton Deluxe 2017. Its time to renew and amazon is telling me the Norton Deluxe available is the same one I bought last year in March of 2016. Can you please clarify, I dont see any of the product “boxes” or digital stills saying this is the 2017 version. Am I just paying to keep the service but there are not changes in the 2017 “version” . If I re purchase that same one am I buying an old product?